The excess weight around your face and neck may be due to an accumulation of fatty deposits around the chin area and neck. Causes may include general obesity, water retention or aging. A cosmetic surgeon can remove facial fat by performing liposuction, but many people cannot afford—or would prefer not—to "go under the knife." Less intrusive methods are available to help reduce fatty deposits in the neck and face. Excess fat around the neck is not only unsightly but also can be an early sign of obesity. Because of its proximity to the face, fat in the neck area can lead to problems with self-esteem. 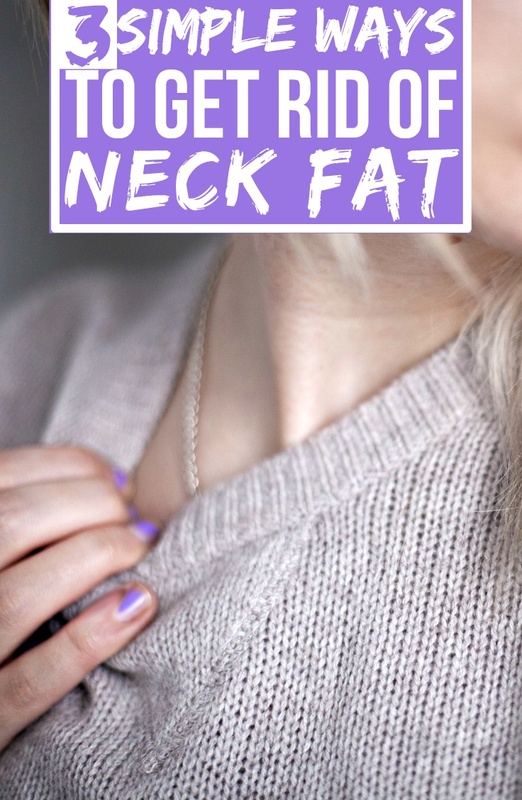 There's no way to target the neck, or any other area of the body, to remove fat specifically from that area. But you can exercise the neck area to stimulate muscle growth that will help burn the surrounding fat more efficiently than before. Lift your head from your chest and stretch your head back as far as possible, stretching your neck out. Stretch your head back looking at the ceiling and go as far back as you comfortably can. Stand with good posture with your head in its natural position. Push your jaw out and lift your lower lip as high on your face as possible. Hold it in that position for 10 seconds, then relax. You should feel the muscles directly underneath your chin stretch a bit. Then, raise your chin and pull it upwards as far as it can go. You should feel the facial muscles pulling in your throat and chin. Hold your chin in this stretched position for 10 seconds and then relax.